Georgia Southern Public Health student, Brianna Butler, had little experience with county government prior to her internship with Douglas County’s Human Resources Department. However, Butler now feels that she has a far greater knowledge and a more intimate understanding of what it is that county government does. During the course of her internship, Butler was responsible for assisting the Human Resources Department in their creation of an employee wellness program. As their inaugural intern, Butler was responsible for creating interest surveys, pre-test questionnaires for events, flyering for events, and planning Douglas County’s first wellness fair, something which the county now plans to hold on an annual basis. 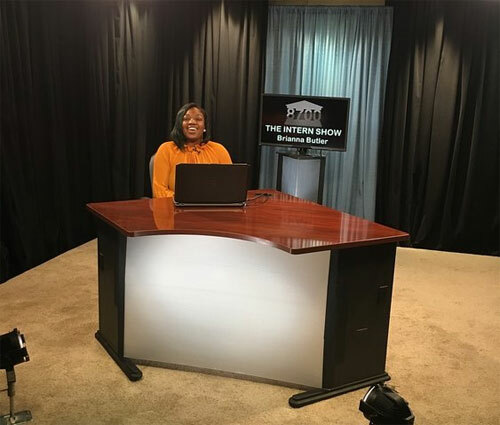 Butler also had the opportunity to meet other interns working for the board of commissioners and with them helped produce a segment for the Douglas County Television public access channel. She further participated in additional county intern activities such as visiting drug court and tours of the county jail and water and sewer authority, an experience that really peaked her interest as a public health major. These opportunities gave Butler the chance to meet a number of people working in county government. Aside from exposure to various aspects of county government, Butler was also provided an opportunity to meet and spend time with Douglasville Mayor, Rochelle Robinson. That experience was especially impactful because she was able to speak with Mayor Robinson about taking on leadership roles and the challenges involved, which she touted as a great learning experience. Butler benefitted greatly from being able to work in county government and she believes she learned a significant amount about self-development and professionalism in the workplace. She also learned how to apply the skills learned from her public health courses to county government work, which will be beneficial to her as she enters the workforce. As for her future, Butler would consider a career in county government.